Everyone laughed until we realized there was no smile peeking out from behind his beard. “To use a technical term, there’s some dust on crust,” he explained. And while the three guides were serious about the conditions, they weren’t going to let snow quality hinder plans to visit the best terrain available. Later, as testers worked their edges into an impenetrable crust below Waterdog Ridge, everyone agreed the theme of the day was “not as soft as I’d hoped.” Despite a lack of powder, tester Alex Austin was still thrilled. With a three-mile skin into Lost Wonder Hut looming that afternoon, however, we decided to pull the plug on post-lunch riding and head to the hut. 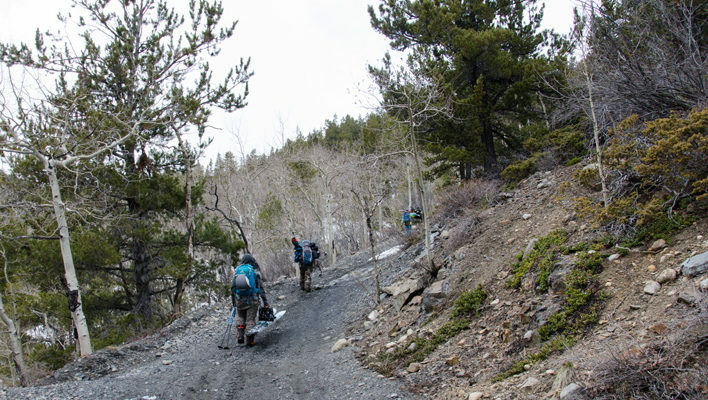 With packs strapped and poles extended, we began a short hike to the receding snow line where we came across snowless dirt patch after snowless dirt patch until there was consistent snow to skin. Walking through the woods with snow gently falling through the evergreens, the group fell into a lucid state. We arrived to find splitboard specialist and nominated hut mother Marca Hagenstad looking out over the mountains and offering beer to celebrate the last leg of Board Test Week. With the woodstove cranking and a cold beer in hand, I looked up to see some of the crew that had arrived earlier ripping down an east-facing bowl coated in a thin layer of fresh snow. 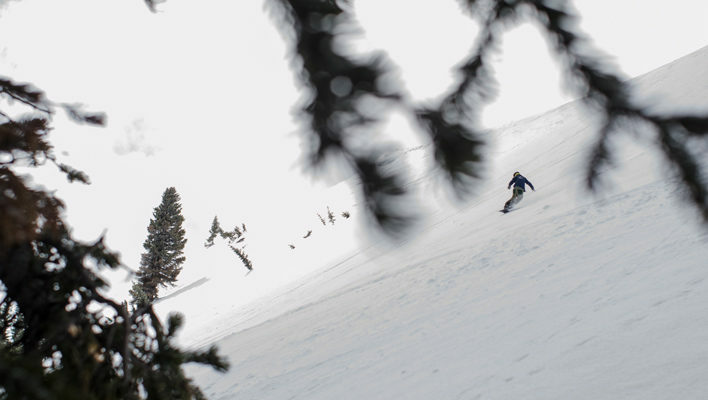 “Watching the crew crushing up the ridge off Clover while drinking a beer with snow falling is about as good as it gets,” Alex Spectorsky said before the evening culminated with ukulele tunes, pulls of whiskey and previewing maps for the last morning mission. 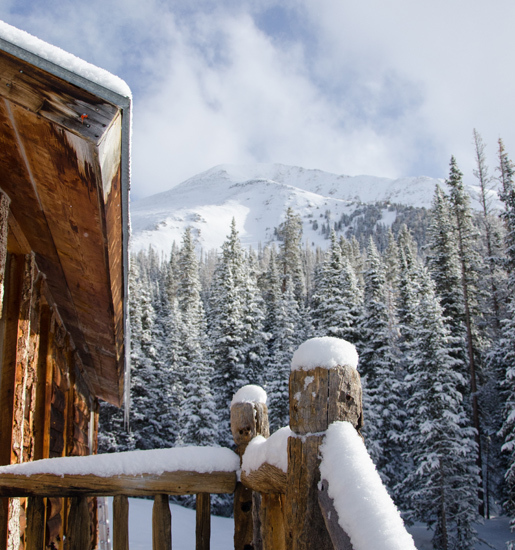 There hadn’t been soft snow all week, but we awoke to powder—the night’s storm had vanished, leaving us with blue skies and building hype. Crews formed to tackle nearby Vulcan Mountain and to head to 13,700-ft. Mt. Aetna right behind the hut. 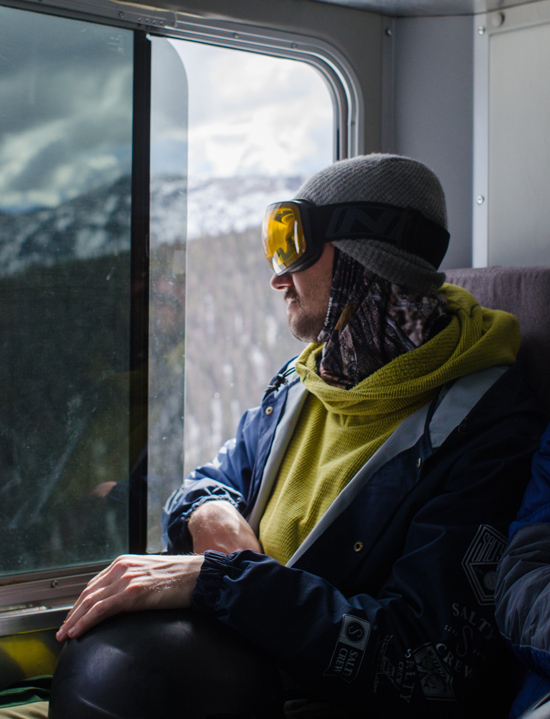 Later, the crew regrouped at the cabin to the sound of gentle wind sifting through the valley’s forests before testers leisurely left Board Test Week for the real world.